A group of Libyan political activists calling themselves the “Grandchildren of the Constitution” have called for the restoration of both the 1951 constitution and the Senussi monarchy. In a statement published on the eve of the 47th anniversary of the 1 September 1969 coup by Muammar Al-Qaddafi, the group claims that there is “growing clamour by ordinary Libyans” for a restoration. That is because, five years after the 2011 revolution, the country remain split along ideological, tribal, religious, secular, fundamentalist and federalist lines. 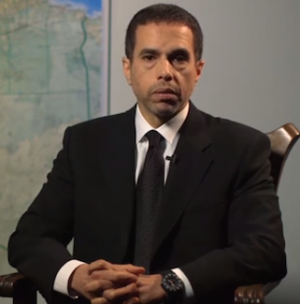 A restoration of the monarchy with Prince Mohamed Al-Rida Al-Senussi as king would provide “a unifying force which can rise above the many fissures in Libyan society”, it stated. A restored monarchy would be “a neutral umbrella” for all, it said, adding that it also has legitimacy in the eyes of Libya because it was linked to the most successful period in Libyan modern history, and is a key part of Libya’s national identity because of its role in the country’s history of resistance to colonialism and its independence. “It has mainstream popular grass roots support across the country and across most, if not all, the different factions,” the group claimed. Urging other Libyans to join the call, it suggested that once stability was restored in Libya, parliament should make whatever changes were needed to the 1951 constitution and that this could be endorsed by referendum. Prince Mohamed Al-Rida, who is usually based in London, is the son and widely accepted heir of the late Crown Prince Hassan, the nephew of King Idris. King Idris, who died in 1983, announced his abdication in August 1969 and named the Crown Prince as the new king. He was supposed to take over on 2 September 1969. Qaddafi seized power the day before.